Models may vary. Minimum 7 day rental charge May 1st-September 15th. 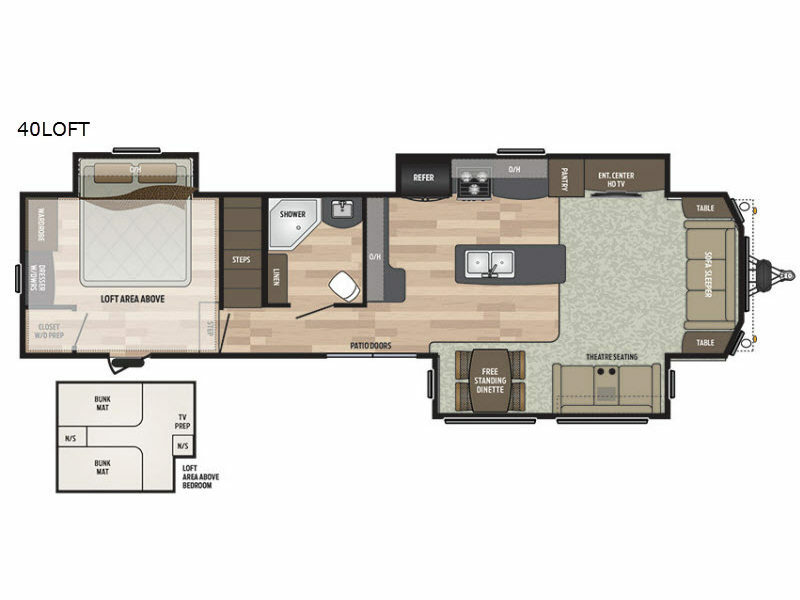 The Residence is the perfect destination travel trailer home on wheels. 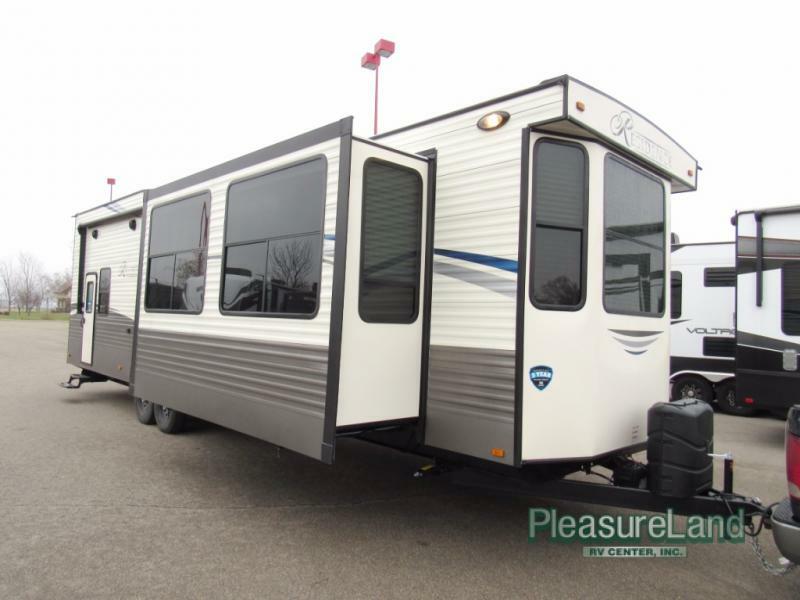 It features triple slides, dual entry doors, a front and rear bedroom with one incluing a bunk and so much more! Step through the main side patio door entry and feel like you are home! Notice the bar counter area with two stools on your left. As the counter continues around you will see a double sink for easy cleanup, a three burner range with a microwave oven and an 18cy ft refrigerator. There is a pantry located on the opposite side near the slide-out free standing dinette and air bed sofa with overhead cabinets. An entertainment center with stero is located nearby and can easily be viewed by any seating in the room. Head toward the front bedroom as you walk through the bath featuring a glass shower and toilet on the left and sink with closet including washer/dryer prep on the right. The front bedroom features a comfy pillow top king size bed, large wardrobe, LC TV and dresser. The bedroom also has its own private entry door for added convenience.